Compared to alumina and zirconia, steatite ceramic is relatively soft. However, its outstanding dielectric properties make it ideal for electrical insulation applications; its low thermal conductivity makes it excellent for various applications. 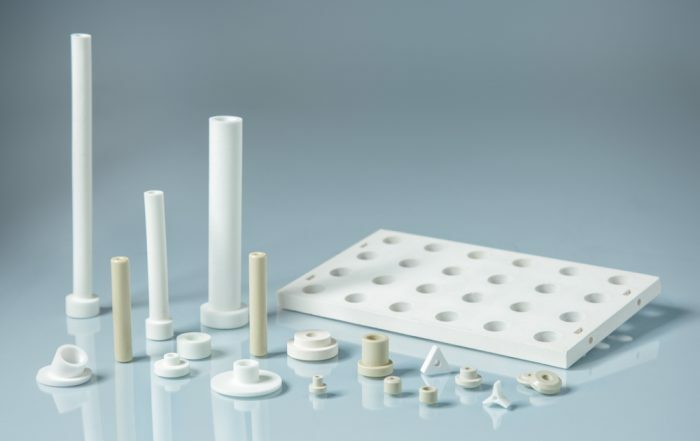 LSP Industrial Ceramics (LSP) stocks steatite ceramic products in a wide range of sizes, diameters, and configurations to meet the unique requirements of commercial, industrial, and military applications. We maintain one of the industry’s largest in-stock inventories of ceramic products. We also offer custom alumina ceramic crucibles designed and manufactured to match your exact specifications. In addition to numerous standard sizes, LSP offers steatite ceramic products in many hard-to-find sizes and lengths. We can also produce custom steatite ceramics to match your exact specifications. Request a quote today on the steatite ceramic electrical insulator, bushing, or washer you need, or contact LSP for more information.